There are so many choices when it comes to deciding on flooring for a home. Regardless of the choice that is made, a homeowner needs to live with it for a long time. The options all need to be considered carefully. One popular material choice for a floor is laminate. Laminate flooring has many benefits that make it a worthwhile choice for a homeowner to have installed in their home. Following are eight reasons to choose laminate floors. Laminate flooring is a great choice for budget-conscious homeowners. Laminate is a far less expensive option when compared to other types of flooring. Further, laminate is more durable and scratch resistant that other flooring options. Homeowners will not need to spend an exorbitant amount of money repairing or replacing laminate. Laminate flooring can be installed in a snap, literally. The pieces are made in a tongue and groove style that allows the pieces to simply snap together. Also, you do not need to worry about what type of subfloor you have when you lay down laminate flooring. It can easily be laid on top of wood, plywood, concrete or vinyl flooring because it does not need to be glued or nailed down. There is a variety of laminate flooring options to consider. Laminate floors are effective at mimicking the look of real wood without having the same high price tag. Laminate comes in several different textures and varying shades that can easily fit into the decor of any home. Homeowners who are looking for flooring that is easy to maintain and clean should choose laminate as it does not need to be waxed or polished. When it needs to be cleaned, all that is required is just a quick dusting of the surface or a light vacuuming followed by wiping it with a damp cloth or mop. Since it is so easy to clean and maintain, it is the ideal flooring for those who have allergies. Laminate is not only easy to clean, but it also does not absorb dust, making it even more beneficial. It is becoming increasingly popular for consumers to make ecologically-conscious choices whenever and wherever they can. Those looking for eco-friendly flooring need to look no further than laminate flooring. Many laminate manufacturers often divert materials from landfills to construct their materials. Other laminate floors are made from recycled products. Both of these methods help both manufacturers and end users take steps to help save the earth. Laminate is the ideal flooring choice for people with allergies since it cannot absorb dust like carpet does. However, there are other health benefits as well. It is naturally resistant to mold and bacteria, making them a healthier option for in-home use. 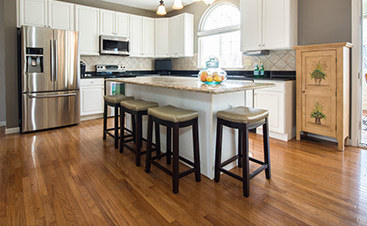 The impact of everyday living can begin to wreak havoc on floors. Flooring material needs to be able to stand up to the day-to-day abuse that it can take from everyday living. Laminate is strong and durable. The surface of laminate flooring can withstand stains, scuffs and scratches and is also resistant to deep grooves that can ruin other types of floors. Laminates can also easily be treated with a protective spray that protects even the areas that get the highest amount of use. 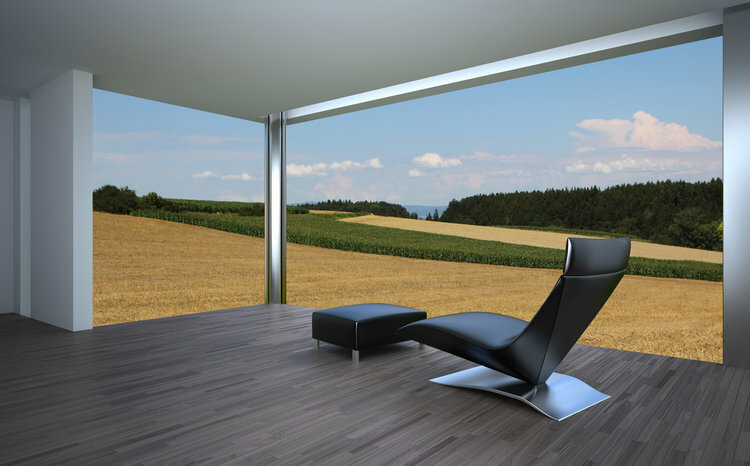 Further, laminate will not fade if it is exposed to the sun for prolonged periods of time. Homeowners everywhere can agree that it is important for their homes to pass the eye test. Homes need to be more than simply presentable. Homeowners want guests to be notably impressed by the beauty of their home. When laminate floors are installed, the visual appeal of a room automatically goes up a few notches. The shine and brilliance a laminate floor will add to a room will make people feel warm and welcome. Choosing the right type of flooring for your home is paramount. Floors add visual appeal to a home while also carrying the heavy burden of withstanding daily abuse from those who live in the home. 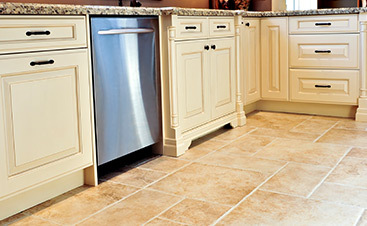 Floors need to be both beautiful and strong to have full value to a homeowner. Laminate flooring does not disappoint for either factor. 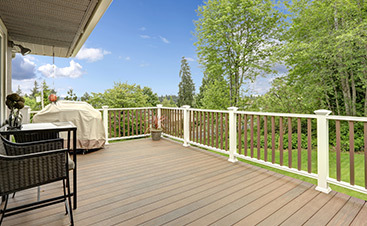 It can withstand daily wear and tear without sacrificing the beauty that homeowners desire. If you have questions regarding laminate flooring or are considering installing new laminate floors in your home, work with a local professional to help you decide on the perfect floor to fit your needs.